Can you believe it is already October?! We are going to blink and Christmas will be here. 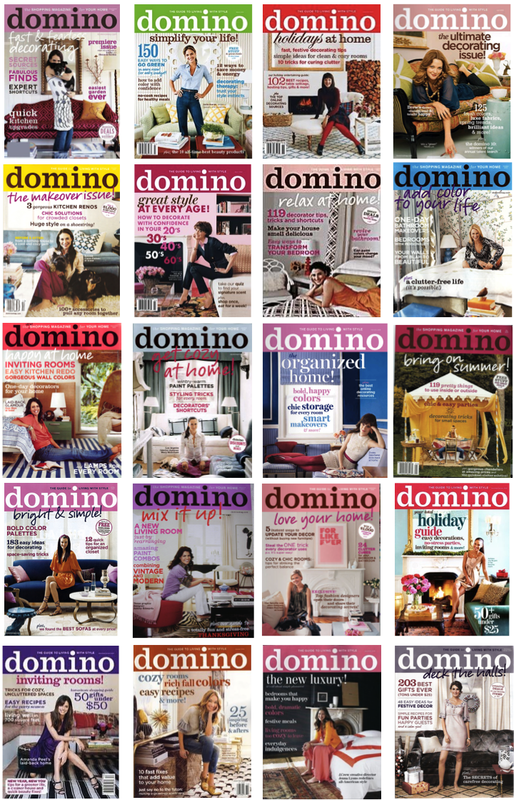 So many of you know have heard the best news since sliced bread that Domino Magazine is coming back! If you were not a Domino addict before you need to jump on this bandwagon. To me its the perfect home magazine....think Elle Decor style on a real budget. They also have a way of showing style that is still relevant years later. To prove it and celebrate check out some of their past covers via 2005-2009. How many of these spaces would you still take today?!? !